Q: The vacancy rates in my mid-century, mid-sized professional and office buildings and small malls have been steadily on the rise over the last twenty years, while my apartments enjoy a steadier rate of return. I’ve thought about converting some, but construction is not my field. Should I hold on and wait for the commercial rental market to bounce back? A: The market for retail, office and light industrial properties is evolving. Many commercial property owners are taking advantage of developing markets in order to guard the bottom line. 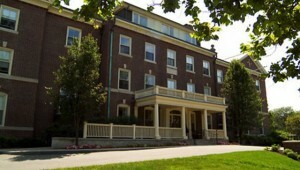 Most notably, many stakeholders and developers alike are now offering mixed-use properties to meet society’s changing needs and, as our population of post-World War II baby boomers ages, assisted living and forms of elder residential care, in particular, are booming into one of the fastest growing industries in Canada. With approximately 27% of Canada’s population falling into the category of baby boomer, a burgeoning market and solid returns has developers flocking to meet their changing housing needs. Many companies have both formed and expanded for the purpose of long-term operations in the residential care industry, and are actively seeking suitable properties for conversion. Both commercial and residential properties may be adapted for this type of facility. Commercially-zoned properties are often ideal acquisitions for both Government and the rapidly growing assisted living private sector. Properties previously considered viable for only non-residential tenants are often of a size and location that is highly desirable for conversion to a residential care facility. A combination of internet sales and a large population aging passed the point of typical mass-consumption has created a downturn in brick-and-mortar retail activity that may be beneficially addressed by a growing demand for commercial properties adaptable as retirement, supportive housing, or long-term care homes. Darwinian in its scope for the real estate industry, commercial-to-extended-care senior housing is an industry adapting to changing markets. 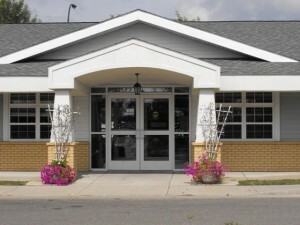 As a result, rather than eventually falling into obsolescence, many apartment, retail and mixed-use properties may survive because a large swath of similar stock is being excised from available properties for assisted living conversions to meet the need of a retiring population of baby boomers. Together with the rise of mixed-use structures, we are seeing some important changes in the construct of what constitutes the Highest and Best Use of certain types of commercial real estate. Any investor with mid-sized properties would do well to consider whether any of their portfolio might make a fairly cost-efficient conversion to an assisted care facility, being one of the highest demand types of property currently being traded in North America. A wide range of buildings may be deemed suitable and culled from multi-residential, condominium, retail, office, or even industrial sectors. Apartment complexes, motels, and hotels may be favored for converting to residential cares facilities. Additional factors that will help determine suitability may rest with your existing structure. Outstanding features, like wide hallways or staircases, and extraordinary features like large-capacity elevators, give an extra boost to desirability. 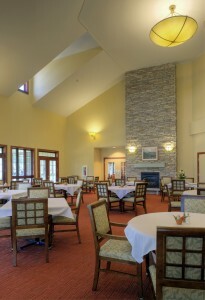 Each property is unique, and so may have specific advantages and disadvantages as an elder care residence. Savvy agents recommend acquiring two or more estimates from construction firms now specializing in this type of conversion. Most are happy to provide free estimates that can then become valuable sales tools for your property, and potential referrals for them which, of course, is the motivation for providing such estimates. Determining the appeal of your property to an assisted living facility operator is largely a matter of location and interior potential. Easy access to hospitals and support services enhance desirability. Properties located near any specialized medical facilities, such as a centre for cancer care or dialysis, top the list of desirable properties. For both visiting relatives and to attract top caregivers, nearby transportation hubs are also considered. 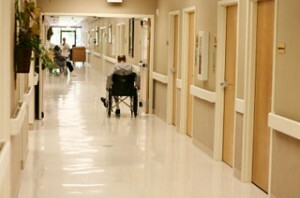 Not to say that the more rural property does not offer its own benefits, but such properties are often only suited to basic retirement homes that function as senior apartments without assisted care, and a hospital nearby will also remain as a major deciding factor when housing vulnerable populations. Statistically, more Canadians are now leaving than entering the workforce. Naturally, we must all adapt to societal changes. Properties converted to assisted living facilities are now enjoying noteworthy occupancy and success rates, and so suitable real estate is in demand, and will remain so until the next historical shift in population demographics. Out of our 5 million retirement-aged population, those reaching age 65 during the last five years rose by 14% with no sign of abatement since, according to Statistics Canada, we are home to one of the largest and youngest baby boomer populations of the G-8 countries. By the same token, retirees are slowly but surely replacing first-time home owners as a target market at the forefront of real estate in Canada today.